This weekend there are a lot of opportunities to get out and give back in West Chester before Thanksgiving. With something going on everyday this weekend and some running into early next week, there are plenty of ways to spend the last weekend before the Holidays set in! Looking to add to your personal library? Or trying to get some Christmas shopping done before Black Friday? 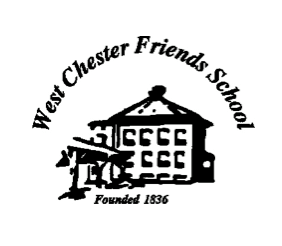 Head over to the West Chester Friends School 2015 Book Fair. Running Friday, November 20th through Wednesday, November 25, in the WCFS gym this Book Fair is a chance to get your holiday shopping done and give towards a good cause. All proceeds go towards the West Chester Friends School. Come by and help support the local community while getting a jump on your holiday shopping! More information on the Book Fair here. Afraid of all the Holiday food about to come? Head over to the ACAC this Friday and Saturday! Work Out and Give Back during the month of November at ACAC! Not only will you be preparing for the mountains of turkey and stuffing next week but every membership purchase goes towards helping the Wounded Warrior Project. When you purchase a 30-day membership for 30$, every cent will benefit the Wounded Warrior Project. To learn more or purchase a membership visit the ACAC’s website. Finally on Sunday find your center with the Gratitude Yoga Festival a free event hosted by Transformation Yoga Project this Sunday, November 22, from 1:00pm to 4:00pm, at the Mercedes Benz of West Chester. Celebrate the season with your community at a day of giving thanks. The Gratitude Yoga Festival will include the following free activities: Yoga class suitable for beginners and all levels, and a guided meditation. This event is free but donations are gratefully accepted. All donations will benefit Transformation Yoga Project, a local non-profit organization, and will fund yoga classes throughout Southeastern PA. To learn more about this event or the Transformation Yoga Project please visit their website. Be sure to get out and give back this weekend in West Chester!